Don’t know where to sell that gift card that you know you just won’t use it? You probably have been given a gift cards for stores that you never shop form. Well, you’re not alone. Statistics show that $1 billion in gift cards go unused each year. That’s a pretty staggering number. That’s why here at MP we talk a lot about selling unused gift cards. We’ve already shared 12 ways to trade Amazon gift cards. We’ve also shared a simple way to exchange your gift card for cash instantly. As you can imagine, there are a lot of ways to sell and trade gift cards – from dedicated marketplaces and websites to forums and communities like Reddit. If you’re wondering what the best place to sell gift cards online or in person is, check out our list. Cardpool is one of the most well-known and most trusted gift card exchange platforms out there. In fact, the company has an A+ rating with the Better Business Bureau. Through Cardpool, you can sell gift cards for cash. The website offers one of the best rates for unused gift cards. You can earn up to 92% of the card’s value – making it arguably the best place to sell gift cards. Simply visit the site, tell it which gift card you want to sell, and then get offers. If you accept the offer, then you need to send your card to Cardpool. Once Cardpool receives your card, you get paid within 1 business day, via check. Gift Card Granny is another reputable and popular platform. Through this easy to use website, you can sell gift cards for cash or exchange an unwanted gift card for one that you’ll actually use. You just need to visit the site, search for the brand/store on your gift card, enter the gift card’s balance, and then you can view offers. Sell it now: With this option, you simply choose the best offer and agree to sell your gift card for that price. You can earn up to 92% cash back. And, you receive payment within days. With this option, you get cash quickly. Name your price: This option allows you to list your card online and you have the chance to name your own price. This option takes longer, but you could potentially get paid more. Once you sell and deliver the gift card, you receive payment. Trade in: You exchange your unwanted gift card for a gift card you actually do want. There are dozens of well-known and popular retailers to choose from. Generally, with the trade in option, you receive a higher payout. Raise is a popular gift card platform, which has been mentioned by a number of major news outlets, like NBC News, ABC News, Today, USA Today and Time Magazine. Raise is different from many of the other places on this list. Rather than simply receiving an offer, accepting it and getting paid, Raise allows you to list your gift card for sale. This method of selling unwanted cards can take a bit longer, but it can yield higher payouts. It’s free to list a card on Raise, but once you sell it, the site takes a 12% commission. Payments are made via direct deposit, PayPal or check. Update: Please note that Coinstar Exchange kiosks have been sold to Cardpool. So, if you’re wondering “how to find a gift card exchange near me”, then you’ll need to visit this page on the Cardpool website instead. If you want to get cash for gift cards instantly, then you should definitely check out Coinstar Exchange. 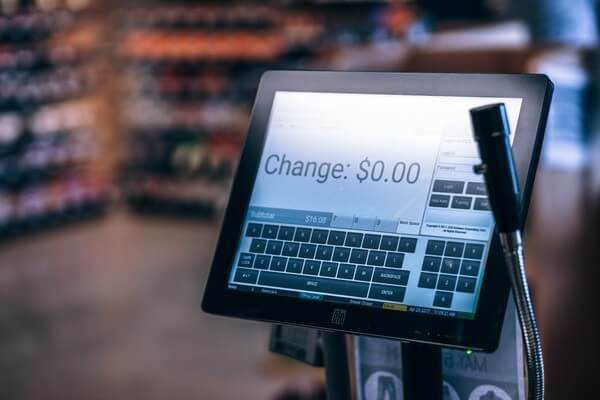 It’s a company that has kiosks in grocery stores across the United States – finding them is easy as they are bright yellow. Through a Coinstar Exchange kiosk, you can sell gift cards for cash on the spot. All you need to do is place your card into the machine and you’ll receive a cash offer. If you accept the offer, the machine prints out a voucher that you can redeem for cash instantly. If you’re looking for an easy way to sell your gift card, then check out CardCash. You just need to visit the website, enter a few details about your card, and you are presented with offers. One of the best aspects of CardCash is that it allows you to sell cards that are partially used. You can sell your gift card or exchange it for a different card that you actually want. Once your order is approved, you get paid via check, PayPal, or direct deposit, within one to two business days. GiftCardSwapping is a gift card exchange website. Through the site, you can sell your gift cards, or trade them for other gift cards. So, if you want to find a gift card that you’ll use, then you should consider checking out this platform. When it comes to selling, many people report that GiftCardSwapping doesn’t offer as high a percentage of the gift card’s value compared to other platforms. It’s reported that the site offers up to 75% of the card’s value, which is much less than companies like CardPool or Coinstar exchange. Plus, there are fees involved in selling a card through GiftCardSwapping. On the other hand, swapping a card through the site is free to do, and can offer you more value. So, this site is definitely not the best place to sell gift cards, but it’s certainly the best option for people who want to exchange them. Selling a gift card through Monster Gift Card is really simple. You just need to visit the website, find your card’s retailer and get a quote. If you accept Monster Gift Card’s offer, you simply mail the card to the company, and you get paid via check. Generally, Monster Gift Card only accepts cards that have a value of $10 to $200. The site does state, however, that if your gift card is worth more than $200, it might still buy it. You just need to contact the site to get pre-approval. Update: GiftCardBin is no longer purchasing gift cards online. If you want to sell your gift card locally at one of their agent stores, go to their “Find a Location Near You” page. Another good place to unload unwanted gift cards is at GiftCardBin. What’s great about this company is that you can sell gift cards online and in person. If you want to sell your card to GiftCardBin online, then you need to submit an online request form. You do this through the website. You just need to enter a few basic details about your card, like the retailer, the expiration date, and the card’s balance. This generates a quote for you. If you accept the offer and send the gift card, GiftCardBin will verify your gift card and send payment via PayPal or check. If you have a gaming gift card you don’t want, then check out Gameflip. On the website, you can get cash for gift cards for places like Xbox Live, Amazon, PSN and Google Play Cards. Like you do on Raise, at Gameflip, you list your card for sale, rather than selling it directly to the site. How much you earn for your card depends on how much you list it for – so you really get to set your own price here. However, Gameflip does state that you’ll have the most success if you list your card for 2% to 15% off the original amount. Get money for your unwanted GC at QuickCashMI. In-Person: You can visit one of the company’s locations and sell your card instantly. Although this method allows you to get cash fast, it offers the lowest payout. Via mail: You can send in your GC by mail. If you do this, you get the payment via check. This method offers the highest payout, but it’s also the slowest. It takes at least 10 business days – so if you’re looking to sell a card fast, then you might want to skip this one. 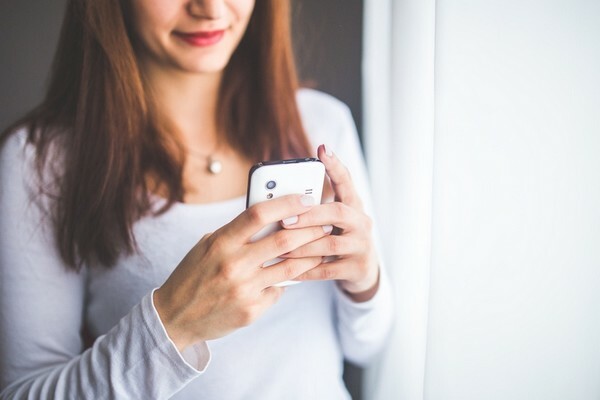 Redeem online: If you send your GC code online instead, you receive more money than you would, by selling in person, but less than you would by selling it via mail. This method is quicker than sending the card in the mail though – it takes at least 5 business days. According to the company, you can get up to 90% cash for your cards at select merchants. Check into Cash is a payday loan company. While we DON’T recommend payday loans, the company does offer a gift card service. You can sell your GC to Check into Cash and get money in return. The website accepts both new and partially used cards. You just need to take your card to one of the company’s stores and you will get a quote. To find your nearest store, visit this page and enter your zip code. Keep in mind that the brand only accepts cards that have a balance of $20 or more. Don’t forget to take your driver’s license with you to the store, as your identity will need to be verified. CardKangaroo allows you to get cash for your gift card. Just get an offer online and then mail your card to the company. This is free to do, as CardKangaroo gives you a free shipping label. And, if the brand that you have a card for isn’t on the list of websites, then you can get a custom offer instead. After the company receives your card, you can get paid within 48 hours. You can get up to 92% cash back, which is pretty great. The company doesn’t accept e-gift cards. While you might not think of Reddit as a place to sell stuff, you can trade your gift cards on there. There’s a dedicated sub-Reddit, which we’ve linked to above, for selling and buying unwanted gift cards. Simply create a post about your card, and set your price. Then, simply wait for other users to respond. In this sub-Reddit, users sell their cards, generally for cash via PayPal, or they exchange them for other gift cards. All you need to get started on Reddit is an account, which is free to create. Get cash for your GC with Gift Me. Selling with this company is simple, as it features a clean, easy to navigate user interface. With Gift Me, you can track your inventory, sales and funds easily. Once your GC sells, you get paid via direct deposit or check. With the company, you are guaranteed to get paid in seven days or less. When you do this, you can set your own price. This means that you choose what you earn. Then, when your GC is sold you get paid via the payment method you choose. With this method, you make cash quick, but you don’t get to set your own price. You can earn money for cards from a huge selection of brands, from Barnes & Noble to Best Buy. If you’d prefer to set your own price for your gift card, rather than selling it directly to a website for quoted price, then consider eBay. On eBay, you get to list your card and set the price for it that you want. Of course, eBay does charge fees, so keep that in mind. If you collect Bitcoin and you have an unwanted gift card for Amazon, then you might want to check out Purse. With Purse, you can convert Amazon gift cards or Amazon gift card balances into Bitcoin. You don’t get your traditional cash, but if you’re a fan of cryptocurrencies, then this is the website for you. A few of the sites in the original post are either no longer in business or have merged with other sites. I have moved them to this section for archival purposes. Update: Giftcard Zen is now RetailMeNot. Unfortunately, you can’t sell your gift cards but you can use the site to buy heavily discounted gift cards. Gitfcard Zen is owned by the same company that owns the giant discount and coupon site, RetailMeNot. Through this platform, you can sell gift cards from a wide range of retailers. What puts Giftcard Zen a little behind its competitors is its slow payouts. With most of the companies on this list, once your gift card has arrived, you get cash for your gift card within days, or even instantly with companies like Coinstar Exchange. But, with Giftcard Zen, payment is sent 3 to 4 weeks after your gift card has arrived. That’s pretty slow. But, it makes up in other areas (great customer service, higher percentages, etc) which is why it’s on this list. Update: No longer buying gift cards. Get cash for an unwanted card with Card Hub. On this website, you can get cash for any gift card. It’s a really quick process too. What’s great about this company is that you can sell cards worth any amount. Rather than leaving your gift card in a drawer, unwanted, you can sell it and make a profit from it or exchange it for a card that you actually do want. 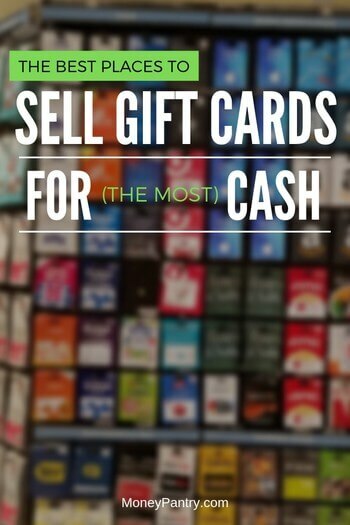 Again, these are some of the best places to sell your gift cards because you can get the most money for ’em. Have used raise.com numerous times and have nothing but good things to say about. Thanks for sharing your experience, Jason. I’m glad you have had a good experience with them. Any tips or technique you may have picked up while selling or buying your own used gift cards?